The locks in the truck, that stands out the most. Just bought the Nissan yesterday, so far very pleased, had to get another one because someone ran into my other one, I like the style it being a double cab with a short bed, it is auto. In the floor, very nice and clean. It has good gas mileage and runs smooth. I love the interior, the gages really everything about it. I checked the motor and all the things you are suppose to and it has a carfax, another good thing. I has a top on the bed that I really like with locks, all in all I just plain love it. Stay consistent on oil changes tire rotation and other basic maintenance. Vehicle has been so reliable I cannot believe how fun it has been to drive though parts are expensive and must be bought through the dealer a first was upsetting but once you drive the truck and see what it can do you forget about that and really appreciate the simplicity of the truck and how much power you can obtain from a six cylinder ten years later same six and just as reliable. The most important thing people should know is that it is safe and reliable. 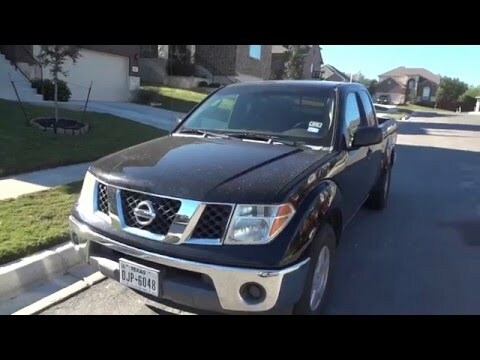 I have never have any problems with my 2006 Nissan frontier, it is very reliable. Gas wise, it is ok unless you have a heavy foot, I have noticed that if I step on the gas harder than usual it does burn gas faster. . . But it is pretty good for a 6 cylinder. It is a four wheel drive and it is been good for off-roading. . .